There are 7 reader responses to "Identity theft is alive and well (and: What to do if you’re the victim of identity theft)". I love your site and appreciate all that you teach us, but as a person in the financial services industry, I am not certain that ID Theft and a compromised card are the same thing. Cards get compromised all the time and the fraudsters don’t do anything but rack up fraudulent charges. ID Theft also happens very frequently, but to my knowledge is when someone actually steals your identity and uses it to obtain credit, perform financial transactions and/or for medical purposes. As an example, ID Theft is something that’s a real risk as a result of the Equifax data breach, whereas your card could be compromised due to a breach someplace you’ve used it. Great info in the post, but I do think it’s important people understand the difference. Please don’t hesitate to correct me if I’m wrong. Hey, Jennifer. No worries! I’m glad you’re here to correct me. Honestly, I questioned whether Kim’s incident was actually “identity theft” or not, so I googled it. My research indicated that compromised cards were a subset of identity theft, but that could have been me just reading into it. 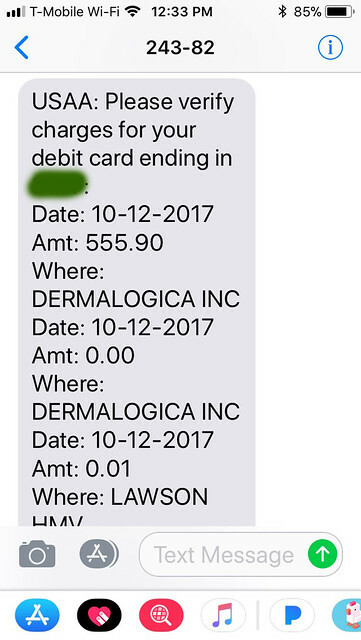 About the transaction history: I found it helpful to have the bank and credit card company send me a text message for any transaction, including the ones I set up myself. The two I use either include the current balance with each message or as a message of its own every couple of days, so I’m not ever unclear about where my normal spending money goes. On other thing you might suggest is to take advantage of free transaction alerts in the form of emails or text messages from your credit card company. Most cards now allow you to set up alerts so you get notified of every transaction. 99.9% of the time you’ve just swiped your card so you know the message is coming and it takes just a moment to delete it. But that 0.1% when the transaction doesn’t make sense is your clue to call your credit card company right away. Great post JD and sorry that happened to you and Kim. Question, when signing up for Credit Sesame did you have to give them your social security number? I was going to start the process to check myself but before even giving them my email I thought I’d ask – thanks in advance! I’m really confused by your side note comment about not having “enough” sources of credit. 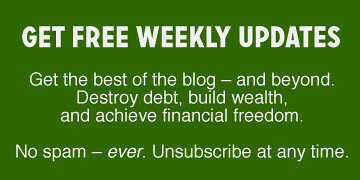 You have an excellent credit score (says so in the picture!) so I don’t know why you want it to be even higher. It’s not a video game or a competition and a mortgage seems like an expensive way to buy your way to a higher score. I would be interested to read more about your idea of getting a mortgage at this stage of your life. Oh, I’m not overly concerned with my credit score. It’s very good, obviously. I’m being facetious when I say I want it to be higher.